As I walk through the rickety wood door, I spot a seat at the bar. The leather is ripped on the chair, but it doesn’t matter, so I hurry over and sit down. It’s always hard to find a seat at Grumpy’s this time of year, so I’m happy with whatever I get. As I start to take off my down jacket, I hear voices from the guys working behind the bar… “Hey, how’s your Dad?” “Is your brother in town?” “Did you bring any oysters this time?” This is why Grumpy’s is the best bar I’ve ever been too! Grumpy’s is truly one of a kind. While some might call it a ‘dive,’ I call it authentic. Grumpy’s is filled with stories. From the writing on the bathroom walls to a flying monkey from the Wizard of Oz, your eyes never get tired of darting around from one thing to the next in this place. What it lacks in interior design, it makes up for in character. It’s loud, the beer flows and there is always a local who might now make it to work in the morning because he’s had one too many schooner’s. Grumpy’s truly epitomizes local flavor. 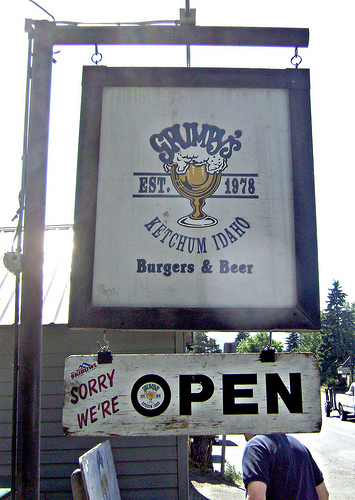 From the time the wonderfully recognizable street front sign changes to “Sorry we’re open,” locals stream into this place for an early afternoon burger and schooner. Just like Cheers, where “verybody knows your name,” the same rings true for Grumpy’s. At any given time you can walk into Grumpy’s and recognize at least one face behind the counter and one face sitting at the bar. Grab a seat, order a schooner and enjoy the uniquely fantastic ambiance of the best bar I’ve ever been to. This post is by guest blogger Katie, special to the Event Services team. As you step off the plane and onto the tarmac, the cold air makes you gasp. Surrounded by snow capped mountains and the smallest airport you’ve ever seen, you know exactly where you are – Sun Valley, Idaho. You walk the quick jaunt into the airport, shuffling along in your Ugg boats and faux fur collared down jacket. You grab your bag, hop in the Sun Valley Lodge Shuttle and off you go! 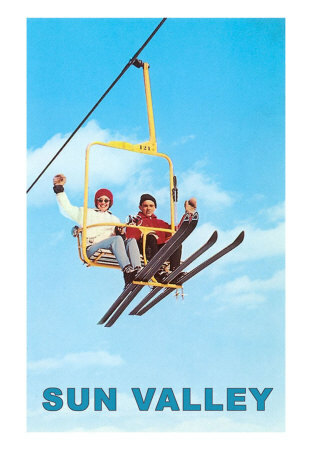 Since 1936, Sun Valley has held the distinction of being the original ski resort. 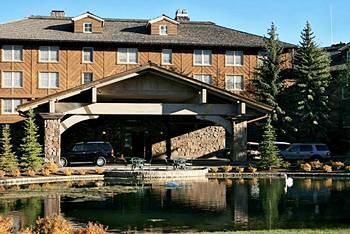 After its construction in the winter of 1936, celebrities and European nobility flocked to the majestic resort, nestled in the Idaho wilderness. One of my favorite things to do at Sun Valley Lodge is walk through the halls and look at the enchanting images of timeless celebrities such as Clark Gable, Errol Flynn, Claudette Colbert, Bing Crosby and Gary Cooper, as their black and white faces stare back, witnessing new generations enjoying the serenity of Sun Valley (Sun Valley Resort). The real majesty of Sun Valley is the mountain, Bald Mountain – affectionately known as ‘Baldy.’ Baldy has a total of 13 lifts and 65 varied runs throughout the mountain. The terrain is expansive, with seemingly endless runs stretching 2,054 acres and 3,400 vertical feet. Skiers and snowboarders alike can explore Baldy’s impressive terrain, while ending their day at one of the area’s five lodges. 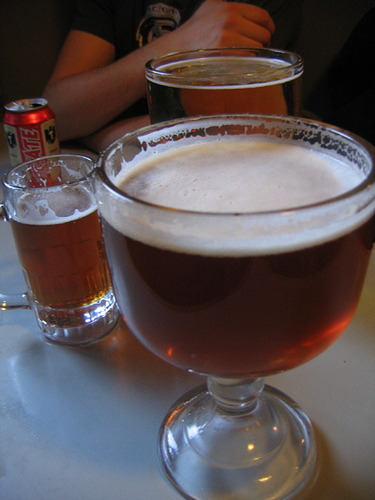 After a long day of skiing there is no better way to reward oneself than to grab a pitcher of beer, warm up in the sun and listen to one of Sun Valley’s fabulous cover bands at the Warm Springs Lodge. After a pitcher or two, you and your newly acquired goggle tan can head back to Sun Valley Lodge, slip into a pair of black double knit pants, throw on vintage Frye boots and grab a great cashmere sweater. Head back into town to enjoy the fresh snow lined streets and bustling nightlife. As the sun goes down, the lights turn up on Sun Valley’s main street. 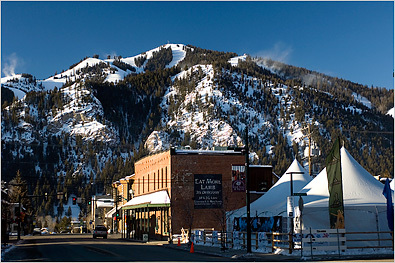 Stretched out between Baldy and the Sun Valley Lodge, Main Street offers a plethora of restaurants, drink specials and fur-clad out of towners. I always love to indulge myself in one of the many fabulous restaurants that Sun Valley has to offer. For the ‘tourist,’ try the rustic, steak induce coma, Pioneer Saloon. For ‘wannabe locals,’ Vintage is the only place to go. Located in a small house, nestled in an alley, you will never forget the taste of heaven. One of my favorite places and for individuals wanting a little more action and a warm fire to cuddle up to, Sawtooth Club is a must. You don’t need your down jacket when you’re in the Sawtooth Club – this place heats up with drink specials, celebrities and great food. My go-to order is always the crab and artichoke dip, a cool 44 North and soda. Try a fabulous whiskey ginger (after all you are in a ski town), take a seat by the fire and watch the fabulous people that walk through the door. Who knows, you might find your future husband at the Sawtooth Club – I did! When you start to feel the dancing itch, walk next door to the newly constructed Whiskey Jacques’, take off your jacket, grab a $1 vodka soda and dance the night away. Whiskey’s is the best spot for cheap drinks, great music and ‘getting in’ with the locals. Whiskey’s has always been my favorite local hot spot – it’s a place where I can throw on a hoodie and drink a beer, or dress up my favorite pair of skinny jeans with a great Elizabeth and James top. Cotton or cashmere, Whiskey’s is always a good time. As your night wraps up, wipe the sweat off your face, throw your hair back in a pony tail and head outside to catch the bus back to the lodge. Before you take that Frye footed step onto the bus, don’t forget to look around at the magnificent mountain town that is Sun Valley, and say to yourself “tomorrow, I’m going to do it all again!” Because for me, I DID! This post was written by guest blogger Katie, special to the Event Services team.